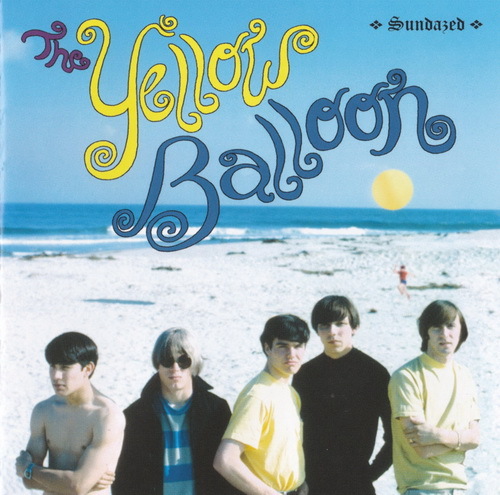 The Yellow Balloon is basically the story of one producer & songwriter Gary Zekley who, disappointed with the results after having Jan and Dean record one of his songs, decided to record it again himself. Then, with an unexpected smash hit song on his hands, quickly recorded a full album of material with studio musicians, then contacted his friend, multi-instrumentalist & singer Don Grady (better known as Robbie Douglas from the TV show My Three Sons) to assemble a “real” five-piece band to work up a live set and make a bunch of TV appearances in the wake of the hit. Beginning with album opener “How Can I Be Down?” the material has an unapologetically positive and uplifting vibe, heavily influenced by the “Good Vibrations”-era Beach Boys sound and the sunshine pop of the period (think Millenium, The Association, Sunshine Company, etc.) full of melody, simple happy-go-lucky rhythms, fun lyrics that intentionally eschew the social consciousness of the times, and meticulously arranged elaborate multi-part vocal harmonies. The twelve songs are all short, no-nonsense pieces that concisely showcase and support the songwriting, and although musicianship is top notch throughout, there’s not a lot of room here for solos. Songs like “Follow the Sunshine,” “Stained Glass Window,” “Baby Baby It’s You,” and “Springtime Girl” are all as strong as the better known title track. Eight bonus tracks include singles, demos, and four cuts by Don Grady and his pre-YB Windupwatchband. All taken, an important, if somewhat obscure slice of 60s pop history.